Kentucky « GASTHAUS: got 'kraut? The Gasthaus will be closed on May 4, 2019. We are sorry for any inconvenience caused and wish everyone a happy Derby Day! We like to thank everyone at the Home and Garden Show for coming to see us at the Cooking Stage and trying our samples last Sunday. Hopefully, you enjoyed the food and perhaps learned something new. 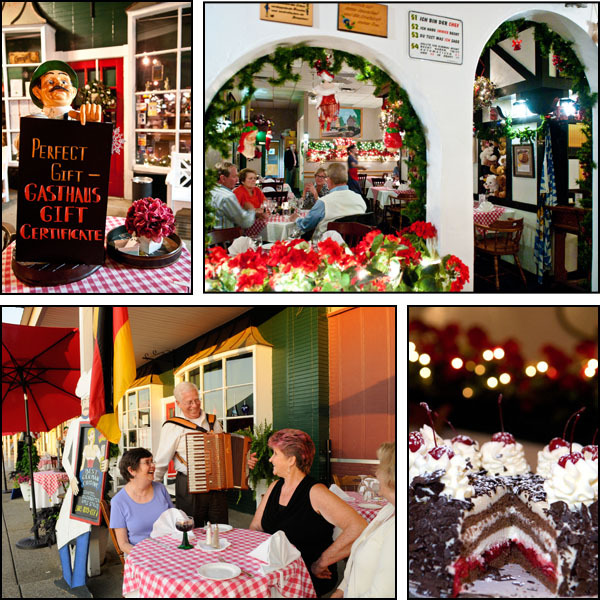 We’d love to see you at The Gasthaus soon! Also, congratulations to the winners of the gift certificates, we have contacted you! Annemarie Greipel presents her recipes for some of her famous German cakes at the Home and Garden Show at the Kentucky Exposition Center on Sunday, March 5, 2017. Don’t want to miss your favorite team play in the NCAA tournament? But you still want to enjoy our food? Give us a call at 502-899-7177 and we can prepare your order for you for take-out. The portions are generous and we can accommodate any size order ! To view our menu, click here. Welcome to “got ‘kraut?” – the Gasthaus’ new blog. Here you’ll find useful and interesting information on Louisville’s finest German restaurant. Please check back with us as we’ll be updating this site with upcoming events and new specials.